I was just past the 11-kilometre mark when I strained my eyes to see if the stroller up ahead contained my baby. When I saw my husband by his familiar jacket, I knew it was them. My boys. I instantly got a lump in my throat. I started waving vigorously and calling out “Hi!” My nine-month-old’s big brown eyes turned my way, registering recognition. I wanted to stop and scoop him out of the stroller and kiss his little cheeks, but I still had almost two kilometres of big hills to go. My feet were sore and my legs were tired, but I dug deep and ran on. Today was my first timed race since having Silas last June. 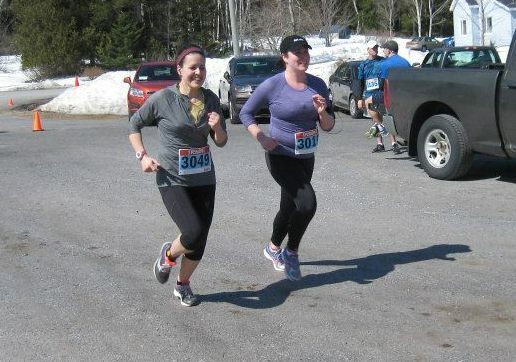 It meant so much to see my baby and my husband as I approached the finish. Now I know how important (and heartwarming) those “Go Mom!” signs are that runners pass along race routes. “We’re running for our babies,” I blurted out to a race volunteer encouraging runners along the way. 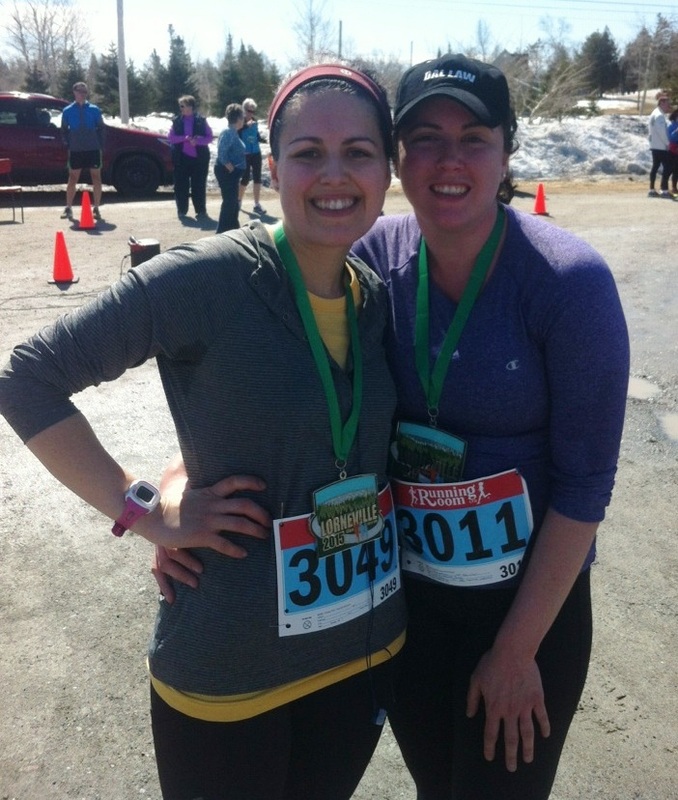 I was running with my friend Jackie, who also has a nine-month-old, and who helped me keep a pace close to 6 min/km. We crossed the finish at 1:19, about three minutes faster than our practice run a couple weeks ago. It’s true. This run was for them – those adorable little human beings we created and nurtured and who have filled our lives with immense joy. Sometimes, it feels selfish to run. Most of the time, running is my alone time. And in order to train for a longer run – such as this one, at 13 km – it requires time away from my baby. But I know that when I run, I am happy and I am a better mom. Training for the Santa Shuffle back in December, and now this race, have helped me get back to my old self, both physically and mentally. 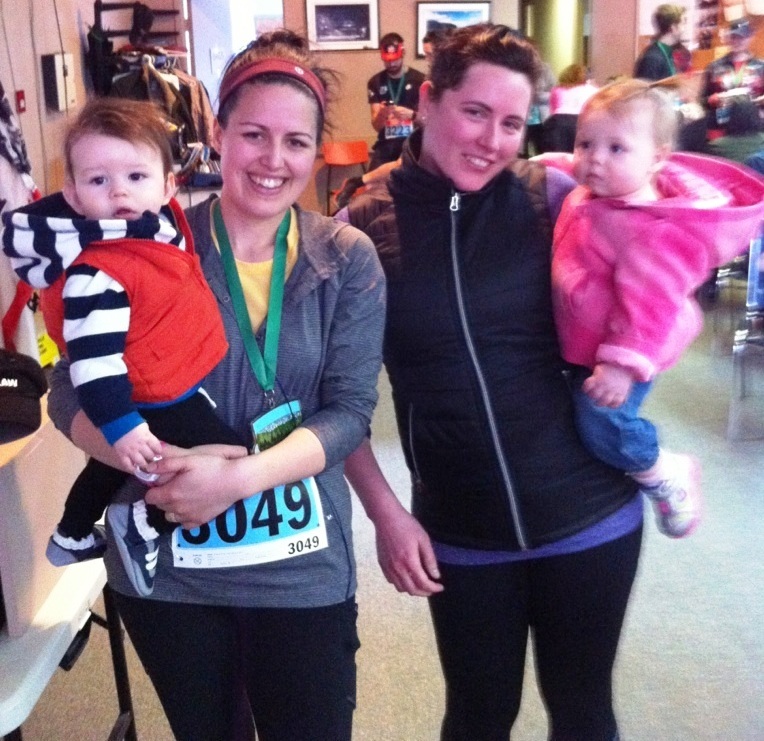 I love running and I look forward to exposing Silas to lots of family-friendly running events over the years. Maybe he’ll enjoy it as much as I do. Having a newborn was so much harder than I expected. And then, getting back into running was also tough. But it seems that the two have gradually become easier. 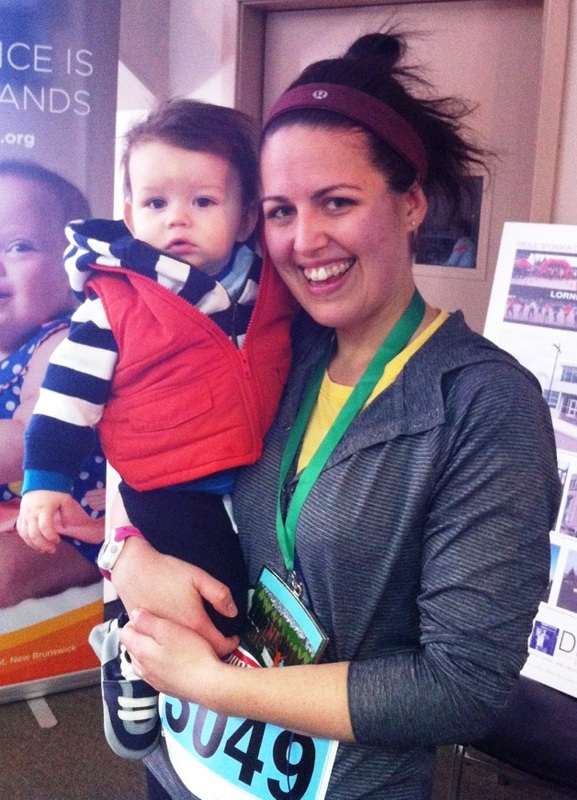 Just as I’ve been training my body to run again, I’ve been in training to be a mother. Although I don’t expect the learning to ever stop, I think I’m at least at a point where I feel happy and confident in my new role. So this is just the beginning. More runs to come. They may not all be fast, but I’ll always push myself. I meant to say, “All so true!”. Not remotely an interrogative, lol!